If you live here in sunny Florida and you are thinking about buying, or selling a home. Having knowledge about what is currently happening in the Florida housing market is important. It allows one to make good decisions. For a buyer, the Florida housing market knowledge allows one to be realistic. Keep in mind knowing what you are looking for and where to find it is one of the most important factors. You also have to find the home that meets budget requirements. A seller needs to understand the Florida housing market to set a reasonable price. In this article, I will explain the meaning of the statistics surrounding the claim that home prices have hit a new high. Why home prices have risen, and what this means to you, the home buyer or home seller. S&P licenses indices to financial institutions around the world. The basis for understanding what is happening in market performance in various financial areas, in this case, real estate. Case-Schiller indices are calculated and kept monthly by Standard & Poor (S&P). Based on original work by economists Karl Case and Robert Shiller. Their team calculated the home price index back to 1890, normalizing the index to have 1890 have a value of 100. If we look at where these indices have been in past months and compare them to the most recent indices. I can determine if repeat-sale house prices are rising or falling. In the statistics we are dealing with here (home price increases), since the Case-Schiller indices have a base value of 100 in January 2000, a current index value of 150 translates to a 50% appreciation rate since January 2000 for a typical home located within a subject market. Now that we have a basic understanding of where this information comes from. We now understand and validate the statement claiming Florida home prices have hit a new high. Based upon citing the S&P indices. However, the experts do not look simply at the S&P indices. Another way to determine if housing prices have risen is to look at the average loan amount. All loans and the median loan amount has risen dramatically. Additionally, real estate experts compare the local employment rate (demand) to the local supply of available homes for sale (supply). We will talk about this more in our next section. There are several general economic reasons home prices rise that are applicable to the recent increase. House prices rise when interest rates are low. Increases in employment mean more families are able to purchase homes, making fewer available. More renters wish to become home buyers because they recognize it is more cost effective in the end, especially when rents increase, as they have in some areas of the country. Distressed home availability is down – the lowest in nine years, per one report. A distressed home is one advertised for sale by a mortgage company or bank because it is under foreclosure. Additionally, right now, when a distressed home is listed, it sells quickly and without much of a discount. As this pattern repeats itself, the list of higher priced homes grows. Although builder confidence is up, in some markets construction has been constrained by shortages of labor due to a competitive employment market and a shortage of lots available. This means fewer new homes on the market, and since the supply is low and the demand is up, higher new home prices are the result. The increase in home prices is partially due to the increase in purchases by investors, both buyers from overseas and domestic investors buying properties for rental units. Another reason there are fewer homes out there for buyers is that many homes are still underwater, which means is that the owner owes more than what the house is worth. According to one real estate company, about 7.9 million borrowers (15% of all mortgaged homeowners) are still underwater. These owners cannot list their properties, further decreasing the supply of homes for sale and increasing prices of those on the market. A few markets, with new job creation, are experiencing population migration, with new households adding to local demand and upping house prices. If you are buying a home, it will not only be the increase in home prices affecting your decision. You may find fewer homes to choose from. Additionally, the increase in home prices means it may be more difficult for you to follow the bank-recommended safe mortgage maximum of three times the buyer’s annual income with a 20% down payment. Also, remember this warning for buyers: If you pay a high price for a house now, you may end up with a mortgage debt larger than the value of the house, which can lead to difficulties if you wish to refinance in the future, because you will have little or no equity. If you are selling your home, you may not need to wait very long before receiving an offer. Additionally, in some areas of the country, sellers may have buyers in a bidding war. Whether you are purchasing a new or re-sale home, or selling an existing property. 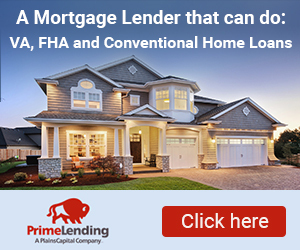 Contact The Fred Franks Team Florida REALTOR® for assistance. A knowledgeable real estate professional will help with every aspect of the home buying or selling process. Which includes; listing, through financing, to the actual closing. Even though Florida home prices have hit a new high, the home you wish to sell, or the buyer for your current home, is out there. The goal of this article is to help you stay informed about the housing market. It’s important to remain positive throughout the home purchasing or selling process.